"With an orchestra of Helsinki’s calibre in a score that delights, might one say wallows, in the glories of a modern orchestra ... there are many passages that will bring great pleasure ..."
"... a supremely confident performance (of the Sinfonietta) that exudes all the charm, warmth and vitality with which this work abounds. 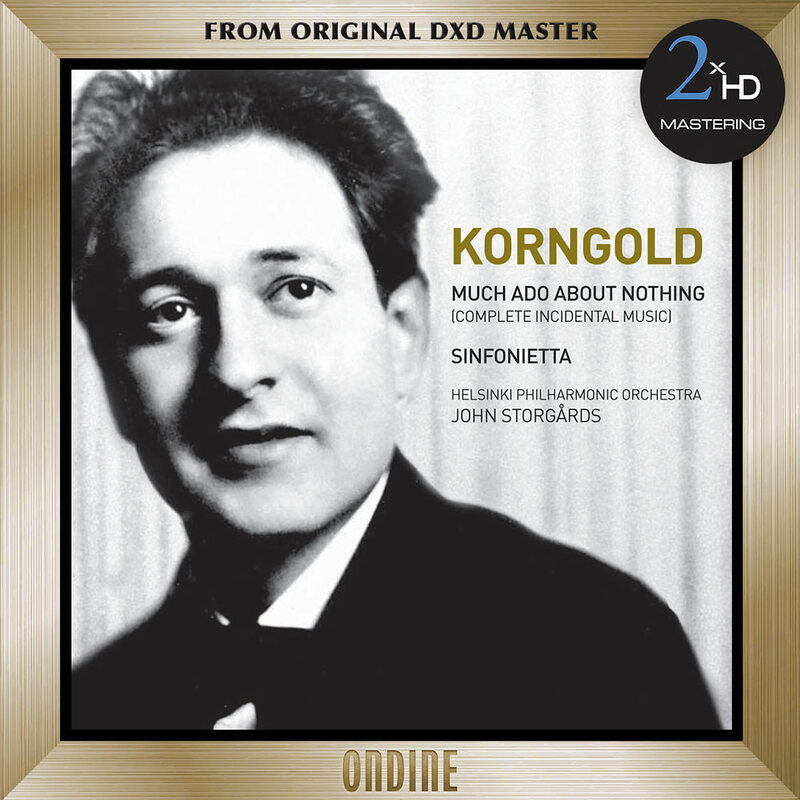 Storgårds's mastery tells in small details ..."
This release contains the world premiere recording of Erich Wolfgang Korngold's Much Ado About Nothing with the complete incidental music, written for chamber orchestra but performed here by the Helsinki Philharmonic Orchestra under John Storgårds. Completing the programme is Korngold's Sinfonietta with its richly orchestrated melodies, dreamy music and imposing finale. In order to achieve the most accurate reproduction of the original recording we tailor our process specifically for each project, using a selection from our pool of state-of-the-art audiophile components and connectors.The process begins with a transfer to analog from the original DXD master, using cutting edge D/A converters. The analog signal is then sent through a hi-end tube pre-amplifier before being recorded directly in DXD using the MSB Platinum Studio ADC plus. All connections used in the process are made of OCC silver cable.